“I get so tired of people turning Dr. King into a dreamer. They made him safe. He was a revolutionary.” Prof. Doreen Loury, Arcadia University. Six of the “greatest MLK speeches you have never heard” have been posted on CNN with commentary and links. His sermon at the Riverside Church is included. The speech lost him many white and black allies, who thought he should stick to civil rights. 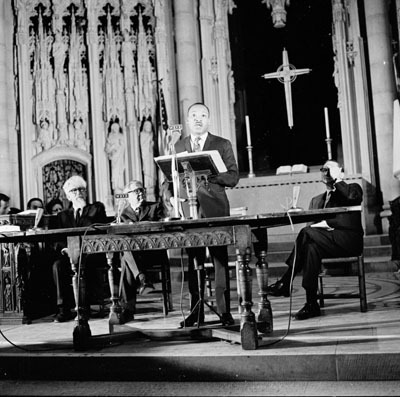 In the sermon, he not only came out against the Vietnam War but called for a revolution of values. Exactly one year after he delivered this sermon, he was assassinated.